Wolfram – also known as Tungsten – is about more than electric light bulbs. Its more deadly claim-to-fame rests in its armour-piercing qualities. During WWII, Wolfram was in great demand with both the Allies and Axis powers who scoured the globe for the precious material; indeed, they deployed huge resources to secure supplies whilst simultaneously doing their best to sabotage and undermine one another. The greatest beneficiary from these shadowy dealings was Portugal, a neutral country, under the control of the mercurial António de Oliveira Salazar. The sudden surge in demand created great wealth and bustling ‘gold rush towns’ deep in Portugal’s remote mountainous interior, but threatened to undermine Salazar’s grand vision for his country. Wolfram Wars examines the role of Portugal in the Wolfram trade, alongside the exploits of its British, American and German customers. It takes in the glitz and glamour of wartime Lisbon, the mischievous dealings of intelligence services, and includes some of WWII’s most interesting spies – spies with code names such as Garbo, Tricycle, and Treasure. A certain young intelligence officer and creator of James Bond – Ian Fleming – also has a role to play. Appealing to connoisseurs of WWII history, Wolfram Wars is a story that offers adventure, intrigue and espionage, and a fascinating insight into this little-known but hugely important aspect to the war. Rod Ashley is the author of more than a dozen titles on education, management and career development, and a regular contributor on motoring articles to Good Motoring magazine. 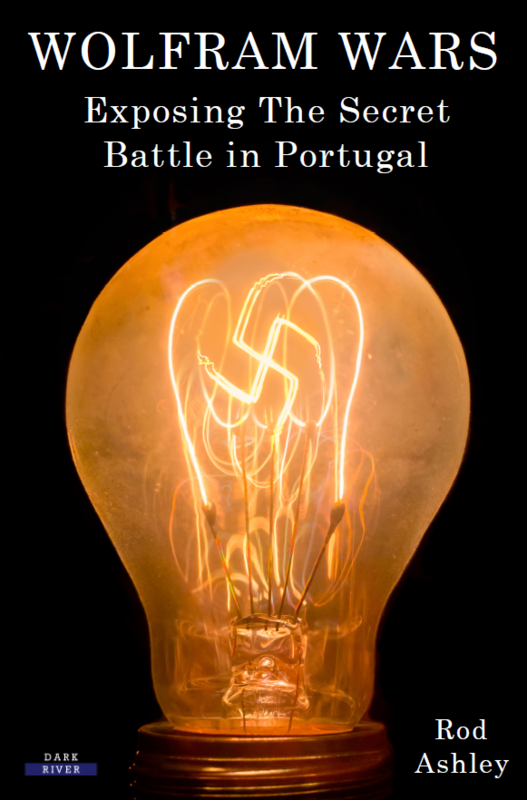 He has a long-standing interest in the Second World War, in economic development, and in Portugal, which was visited multiple times whilst researching and writing this book.